Camp Seneca Lake takes pride in the quality staff that return year after year. Our division heads, Chinuch staff, Sports & specialty staff, waterfront directors, infirmary personnel and any other specialty area staff all play an integral part in the day to day operation of the camp. We are one big family that cares for your children like our own. Camp Seneca Lake is home to approximately 450 campers and 150 staff. Our counselor staff come to us from many of the main Yeshivahs in the New York Area as well as Florida, California and Israel. 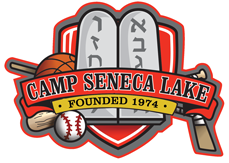 Working at Camp Seneca Lake is a very rewarding experience for both the staff members and the campers and ultimately, our goal is to have these experiences, friendships and memories stay with the campers and staff for the rest of their lives. Interested in becoming part of our staff? 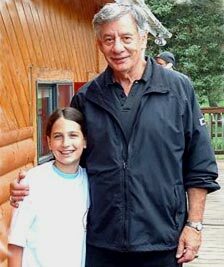 Irv Bader is the founder and Director of Camp Seneca Lake. He has been a camp Director for over 41 years, and hires all his staff members, and oversees the entire camp operation. He makes sure that all campers’ religious, social and athletic needs are met. Irv has been able to retain key staff members at camp for many years. Irv is also the Chairman of the Physical Education Department and Athletic Director at Touro College in New York, NY. Prior heading up Touro College’s Athletic Department, he was the Athletic Director at North Shore Hebrew Academy High School in Great Neck, NY and Flatbush Yeshiva in Brooklyn, NY. He was also the Director of Adapted Physical Education for the New York City Department of Education for 28 years and a retired Professor of Physical Education at Brooklyn College for 26 years. 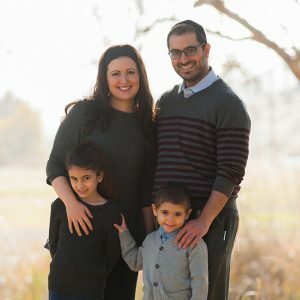 The Schwartz family hails from Denver, CO where Rabbi Schwartz is a Gemara, Halacha and Chumash teacher for grades 7th-12th at the Denver Academy of Torah. Rabbi Schwartz was raised in California, is a Graduate of UCLA and received his Rabbinic Ordination from Rabbi Zalman Nechemia Goldberg in Jerusalem. Chava has been working with Jewish youth of all ages for over a decade as a Program Director, campus educator and middle school teacher. At camp she will be one of the chinuch staff. Before moving to Denver, Rabbi and Chava Schwartz were working for the Orthodox Union as a campus Rabbinic couple with the JLIC at Boston University. They also come with their two children, Meira (age 8) and Yonah (age 4). This will be the Schwartz’s first summer at camp and they are both proud and excited to be joining the Seneca Family. The Nagars: Menachem is a high school history teacher, and Naama is an English teacher in Israel. 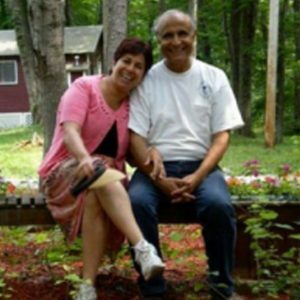 We live in Hadera, and we have four children and five grandchildren.We’ve been at camp Seneca for 17 years. We love working with the campers, and we are looking forward to next summer. 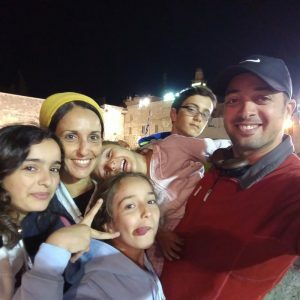 Elad and Yifat Asulin have been engaged in education for the past 15 years. 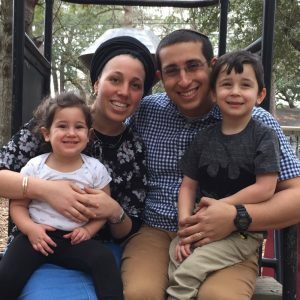 They have lived in Philadelphia for 5 years, while teaching at Torah Academy, and have also spent 2 years in Atlanta, teaching at the Atlanta Jewish Academy. Today they live in Netivot, a southern city which is home to some 37,000 people. They have 4 children, Evyatar (14) attends Yeshiva Darca, Almog (12) goes to Ulpana Netivot, Noa (10) is in elementary school Noam Eliyahu, and Shilat (4) who attends Gan Rafael. Yifat is a special Ed teacher in Ofakim (south of Netivot) and Elad is an MBA student and an English teacher in Ashkelon. The Asulins are new to camp Seneca and look forward to the coming summer. Oded and Tehilla Karavani moved to Columbus, OH this year from Israel. Oded teaches Hebrew at the Columbus Torah Academy. He moved to Charleston, SC from Israel when he was 10 years old and returned after high school. He spent 5 years in Hesder Yeshiva (Karnei Shomron and KBY), served in the IDF and got his Bachelors degree in Education, Talmud and Tanach. He was previously the Southern Regional Director at Ezra Youth Movement. Tehilla teaches at the JCC Preschool and CTA. She received her Bachelors from Givat Washington College in Israel. The Karavanis come with their two children- Yair (4) and Ayelet (3). They love sports and are very excited to join the Seneca family!